Set in the Inyo and Toiyabe national forests of the Sierra Nevada mountain range, Mono County is a glorious, high altitude playground, with astonishing natural beauty. There&apos;s plenty of adventure to be found exploring the Eastern Sierra scenic landscape and its alpine canyons, historic sites, and charming mountain towns. Use the links to the left to start planning your adventure. 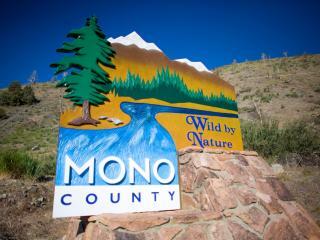 Request a FREE Mono County Visitor&apos;s Guide today!